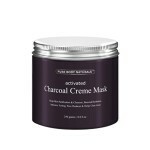 Ren Evercalm Mask Review: (Do Not Purchase) Before You Read This? This formulation is a soothing face mask for reducing irritation, redness, itchiness, inflammation and other discomforts of the skin. Made with natural extracts and other components that hydrate and calm the skin, Ren Evercalm Rescue Mask helps the user have smooth and velvety soft skin. It is a 10-minute mask that helps ease sunburned, wind-chapped, stressed, dry, blotchy and jet-lagged skin. This product is designed for convenience; it can be used anytime and anywhere. 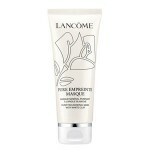 This formula can also be used as a makeup starter mask. Marketed primarily as a solution to inflammation-related conditions, it can soothe irritated skin, reducing redness and easing any kind of discomfort. 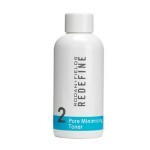 This can be used to treat conditions, such as cracking, sunburn, chapping and roughness. 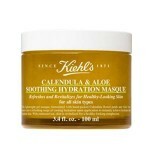 It is made with hydrating components that can help in treating dryness and dehydration as well. There are components that deliver nourishment to the skin, too, helping improve its overall state and health. Continue reading our all-inclusive Ren Evercalm Mask review to know if this skin care formulation suits your skin’s needs. It was more than 16 years ago when Ren was launched with the goal of providing skincare for everyone, even those who have sensitive skin. The formulations from this brand are made with active components that are natural, and as much as possible, no harmful components are used in each formula. The philosophy of this brand is ‘Live clean. Bare all.’ It claims to only use ingredients that are effective, pure, clean and pleasurable. 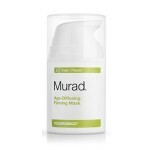 This is not a very popular brand although it offers a range of products for addressing different skin concerns. This formula has been on the market for several years already and it is known for average soothing effects and good hydrating benefits. Its slight plumping effect becomes noticeable immediately after application, and some users say it can quickly soothe irritated skin as well. Our ultra comforting rescue mask review has revealed that there are mixed user reviews for this product; it hydrates well and works on some people with sensitive skin, but there are people who developed irritation and even acne from using it. How to Use: Apply a generous amount on cleansed skin and leave it on for 10 to 15 minutes. Remove any excess using a cotton pad or damp cloth then follow with your regular regimen. For best results, use three times a week or anytime there’s a need for urgent rescue. 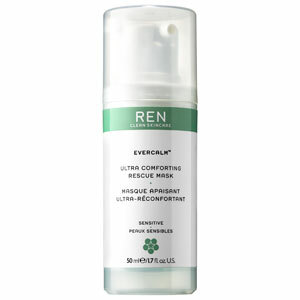 A 50-mL container of Ren Evercalm Ultra Comforting Rescue Mask can be ordered online for $38. Overall, this is a good calming and moisturizing product that’s worth trying; it comes with a money back guarantee, so you can test if it works for you. There are good reviews from consumers who have tried this formulation, and it is made with some beneficial components. However, it isn’t for everyone since some reviews say it can cause irritation or even acne. Some users also claim that it is not a highly effective soothing formulation. Our Evercalm Rescue Mask review has revealed that this is an effective calming and hydrating formula for some people; fortunately, unsatisfied customers can return Ren products for a refund within 30 days from purchase.